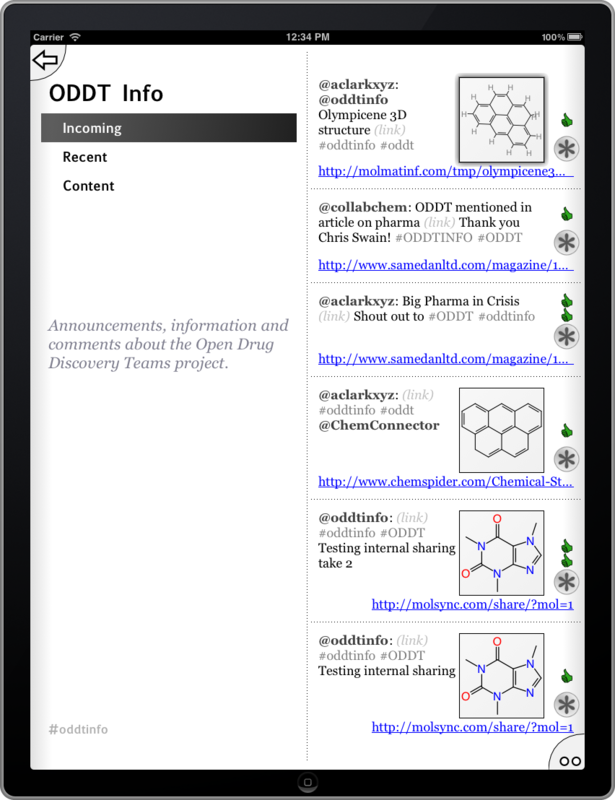 Given all the recent publicity about the timely novelty molecule olympicene, here’s another layer of gimmickry: using the latest version of the Open Drug Discovery Teams (ODDT) app for iOS (free download: iTunes AppStore), it is possible to view the 3D structure of the molecule on your iPhone/iPod/iPad. 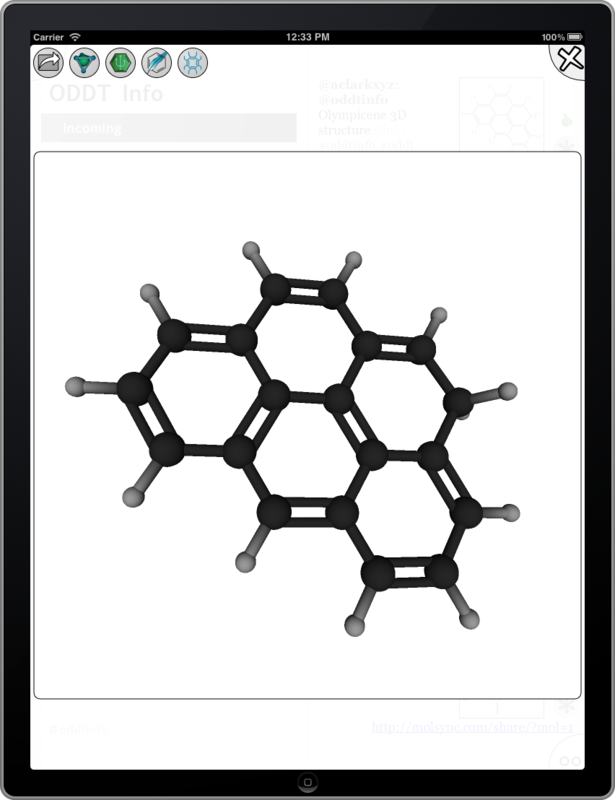 While most of the chemical structure content that can be browsed using this app is in the form of 2D diagrams, the latest version (0.9.3) added the ability to view 3D structures as well, making use of OpenGL ES. At the time of writing, the 3D structure of olympicene was the most recently posted factoid in the #oddtinfo topic. If you tap on the thumbnail structure, it will bring up the detail view, which is presented in 3D, where it can be rotated-by-finger. (The next version adds pinch-to-zoom and two-finger-drag gestures.) There are also a few other test structures on the first page, including the 2D structure of olympicene, and 3D aspirin as well. 3D viewing is a new feature in the Molecular Materials Informatics product:feature stack. It is maturing quickly, and will be appearing in more apps to complement the well established 2D cheminformatics capabilities.